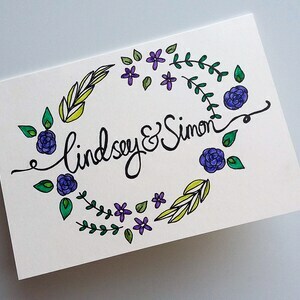 A striking design - Congratulations to the happy Couple! 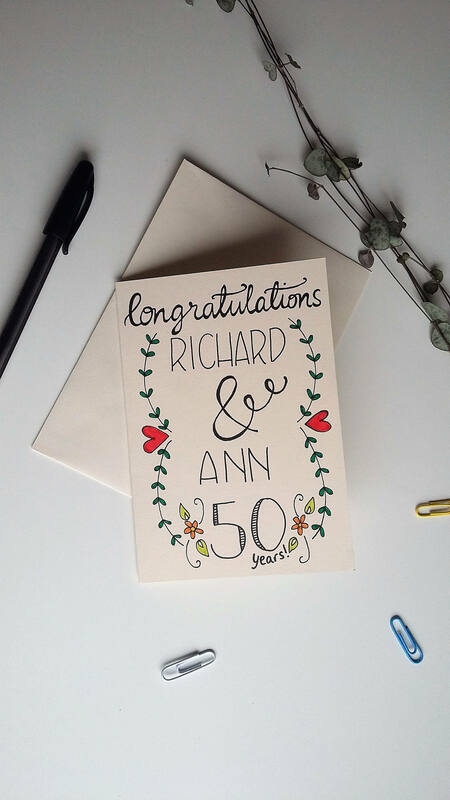 The perfect card to celebrate that milestone anniversary, what ever the number of years reached! 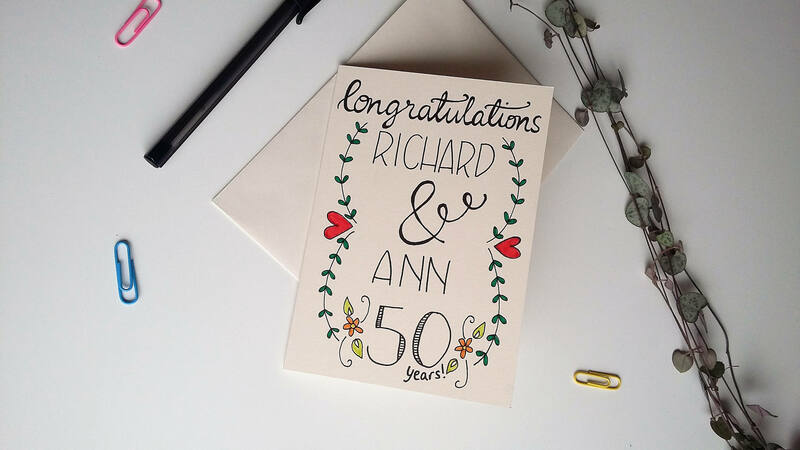 This is a fun anniversary card, just the ticket to celebrate that special couple's anniversary. 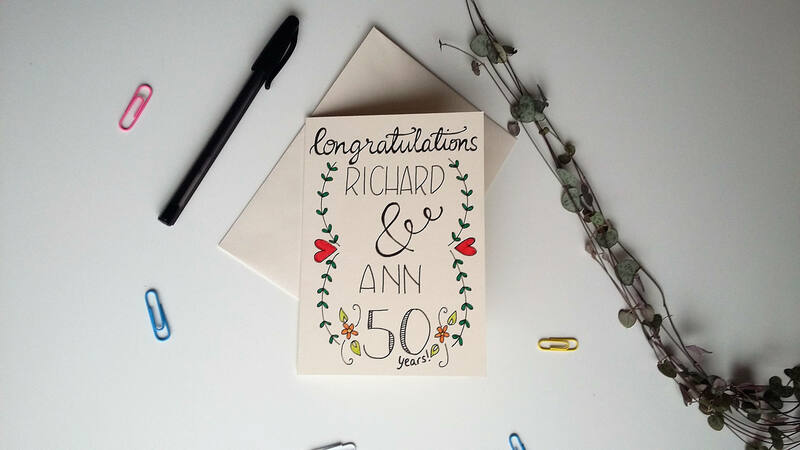 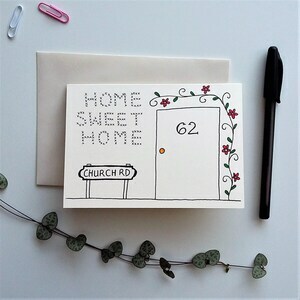 The design features a mix of modern typography, proclaiming 'Congratulations', and the special couple's names in the centre of the card. 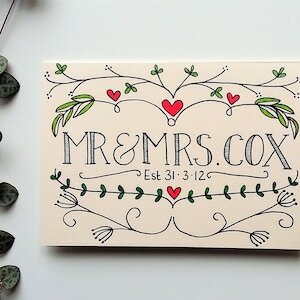 To make it extra special, the number of years of marriage they've reached is included boldly at the base. 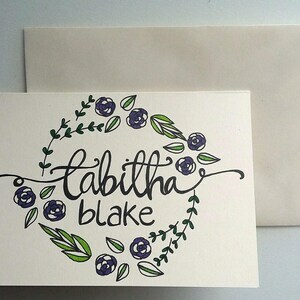 I flourish of flowers and leaves frame the text, with a splash of colour. 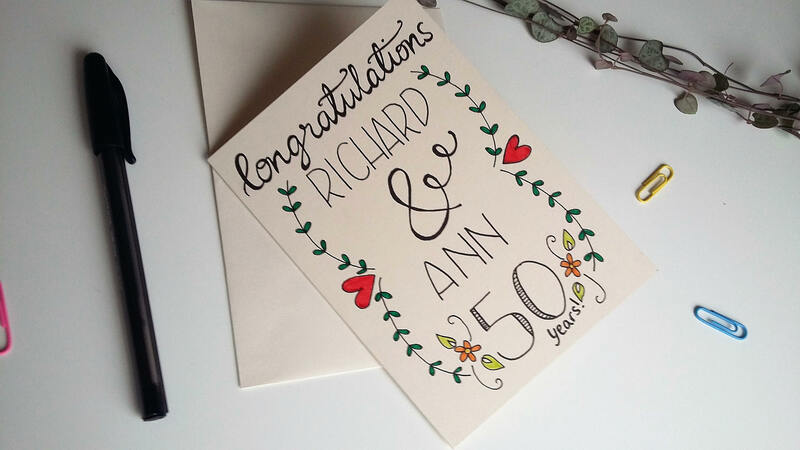 Although shown as 50 years in the example, the card is made to order, so the design can suit any anniversary, from 1 year to 70, or more - it doesn't have to be a traditional milestone anniversary!